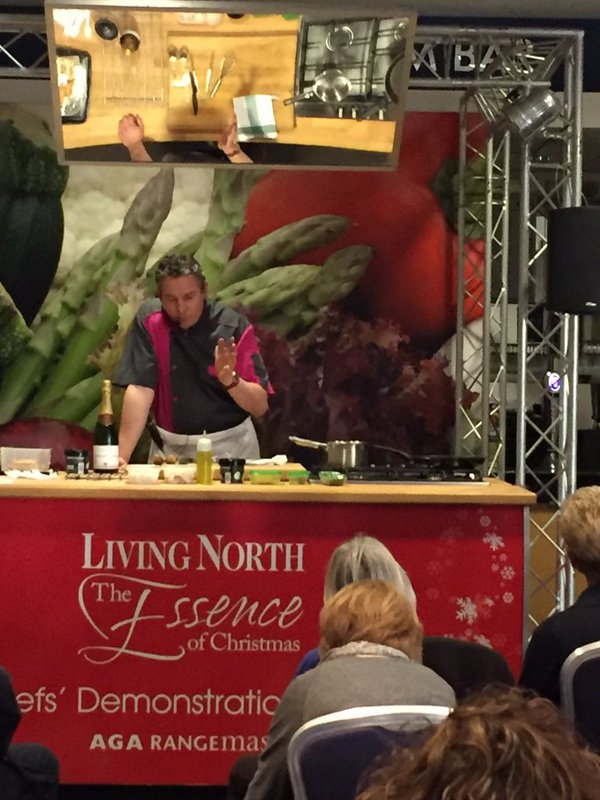 Yesterday we were at the Living North Christmas Fair at York Racecourse to take part in the chef demonstrations. 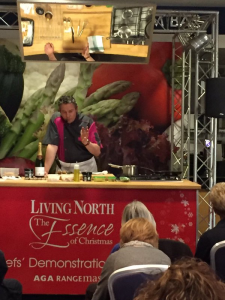 We were among good company with the other chefs including Murray Wilson from Norse in Harrogate, Steph Moon and head chef of Le Cochon Aveugle in York. For dessert Yves experimented with chocolate. 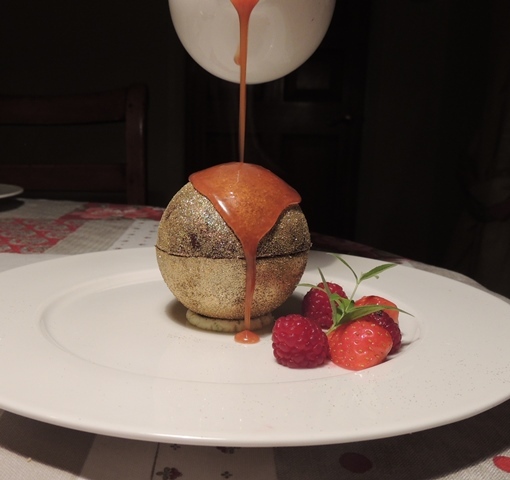 He created four chocolate spheres using specialist moulds that we bought home from France. Each sphere was coated in brightly coloured glitter and filled with a delicious mascarpone and lime mousse topped with strawberries and passion fruit coulis. Yves served the extravagant dessert with a jug of warm caramel which melted the ball when it was poured over the top, slowly revealing the fruity filling. A chocolate lovers heaven! 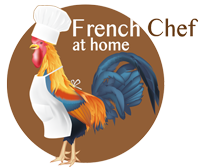 Following the celebrations we have been busy in the kitchen creating the new Winter menus which are now available here. To discuss ideas for your own dinner party, please do get in touch.